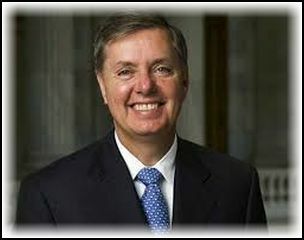 If Senator Lindsey Graham wins next year’s presidential election, the Republican from South Carolina promises to ban online gambling in the United States. Just last week, Graham and fellow Republican senator, Marco Rubio, introduced legislation called the Restoration of America’s Wire Act that will call for banning online casinos in the United States. The Restoration of America’s Wire Act mentions the fact that President Barack Obama’s administration legalized online gambling for American citizens four years ago. According to a statement made by an Obama spokesperson in 2011, online casinos and digital casinos were considered legal if people were gambling at online casinos that maintained headquarters in the same state they lived in. And, to the delight of sports betting agents in Las Vegas, President Obama also legalized online sports betting. Senator Graham released a statement explaining his position on United States-based online casinos. Graham believes that online casinos are a safety hazard for American citizens, mainly because any cell phone or laptop now doubles as a highly addictive video poker machine. Graham cited statistics that linked gambling addiction with access to poker machines in his home state of South Carolina. The other Republican supporter of the Restoration of America’s Wire Act is Marco Rubio, a Senator from Florida. Rubio argues that online casinos are often frequented by hackers who are only interested in defrauding good citizens. The Florida Republican also says that the government should be responsible for providing more Internet safeguards to protect people from the pitfalls of gambling addiction. 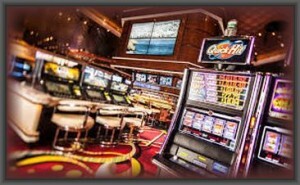 Currently, digital casinos exist in New Jersey, Delaware, and Nevada. 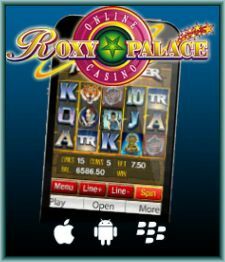 Other states are intrigued by the potential that online gambling offers from a tax revenue standpoint. Graham and Rubio want to pass legislation before other states endanger their citizens. A hearing on the Restoration of America’s Wire Act, also known as RAWA, bill has been scheduled for March 26, according to a pro-poker lobbying group called Poker Players’ Alliance. The bill, if passed, would immediately make all regulated online gambling illegal, including poker. The bill was to be heard earlier this month but severe winter weather necessitated rescheduling of the hearing. Now, however, winter weather will not be able to ride to the rescue, and spring, it seems, doesn’t like online poker. 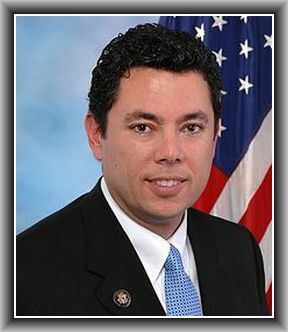 Republican Jason Chaffetz’s bill will be discussed by the sub-committee on Crime, Terrorism, Homeland Security, and Investigations, with online poker adversaries expected to be called on as witnesses for the hearing, unlike previous hearings, which were mostly neutral. But, the official list of witnesses has not yet been revealed. The latest hearing on this issue happened in late 2013. As of now, the official position on the Wire Act, which was passed in 1961, with regard to online gambling is that it is restricted only to online betting on sport activities. Passing the RAWA, however, would include online gambling of all forms, like lottery; RAWA, though, doesn’t seek to restrict betting online when it comes to horse racing. While the bill was initially introduced by Chaffetz, along with Lindsey Graham, in March 2014, it seems now that the bill, which was reintroduced by Chaffetz to the 2015 session, also has the support of billionaire Sheldon Adelson, who is not only a major donor to the Republican Party, but also is the CEO of a corporation that operates a casino in Las Vegas. However, with elections coming up next year, it is very unlikely that the bill will be passed, or even come to the floor. There are many groups that are opposed to the bill and the chances of it getting past the House are next to nothing. 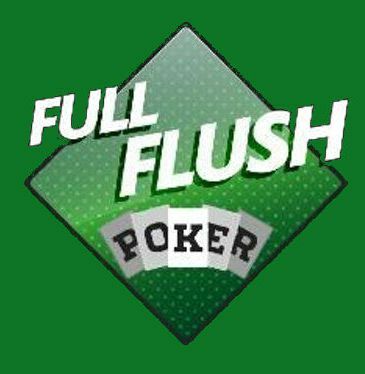 Full Flush Poker is presently involved in many heavy promotions that are associated with the 2015 World Series of Poker. Several winning players of the Stairway to Vegas Challenge and the World Series of Poker Leaderboard Challenge Full Flush Poker will get an opportunity to participate in the WSOP Millionaire Maker. They will also get a chance to play in the 2015 WSOP Main Event. The Full Flush Poker 2015 WSOP Leaderboard Challenge started on February 1st, 2015. It will end on May 31st, 2015. Player’s monthly POP accumulation and Rack up Golden Bracelets will count toward their bracelet tally. Collecting the most gold bracelets in the prestigious Leaderboard Challenge is the ultimate dream of many die-hard poker players. They understand that winning these special bracelets will put them in a position to take a seat in the World Series of Poker Main Event. The winner of the Leaderboard will be awarded a prize package worth approximately $15,000. The winner will also get a $10,000 buy-in WSOP Main Event seat and $5,000 in cash to cover travel expenses. The Stairway to Vegas Step Challenge will take begin on February 1st, 2015 and end on May 17th, 2015. This challenge will give more Full Flush Poker players an opportunity to gain experience and secure significant winnings. 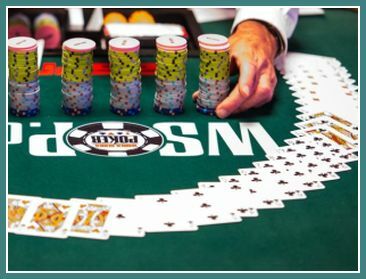 Full Flush Poker is making it extremely easy for poker players to enter this year’s World Series of Poker Millionaire Maker Event. Three lucky members of Full Flush Poker will be sent to the $1,500 Buy-in World Series of Poker No Limit Hold’em Tournament. The event will be held on June 5th and 6th at the beautiful Rio All-Suite Hotel and Casino in Las Vegas. The winner of this special preliminary event will get one million dollars. The clientele of casinos come with a lot of stereotypes as to what type of people they are. 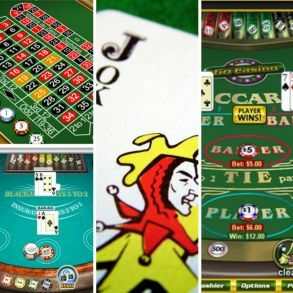 Many times, people associate criminal intent and illegal activities with those who frequent gambling tables and particularly with those who place large bets. However, thanks to a new government ruling, casinos and gambling venues in Macau have begun a true effort to reduce the risk of any illegal activity taking place at their tables. Junket agents now must do a criminal history background check on new prospective VIP players before sending them to the high rolling rooms of the casino. The Gaming Control Board has issued a warning that no player with a criminal history of any type will be allowed to play at the tables of any of their VIP rooms. By forbidding players with criminal pasts, they are working to make sure they hand-pick more trustworthy clients for their high rolling games. Since junket agents typically work on a commission, this practice is one that will help to narrow down the habit of agents to send questionable players. If a player is sent by a junket agent only to be found out to have a criminal record, that’s a pay-check the agent isn’t going to be getting. The legislation, therefore, tends to put more of the work at weeding out the players with shady pasts from those who simply put their talents into the game and the game alone on the agents rather than solely on the casinos themselves. The ultimate goal of all of this is to give the government more control over the money flow in the gambling market. 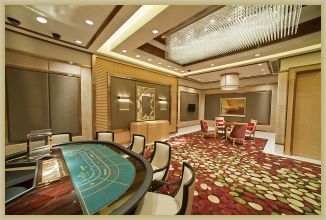 The casinos in Macau are a large part of the tourism industry for the region, and with the government’s ability to control the money flow and know where it’s going and coming from, they will, allegedly, be able to help the tourism and casino industry grow and thrive. The World Series of Poker (WSOP) 2014 has concluded and it was as exciting as previous years, if not more. Every year something new happens at the many events at WSOP that make the event stand out from the previous years. This year it was the Main Event winner who added unique elements to the WSOP 2014. All events at WSOP lead to the Main Event Final Table. 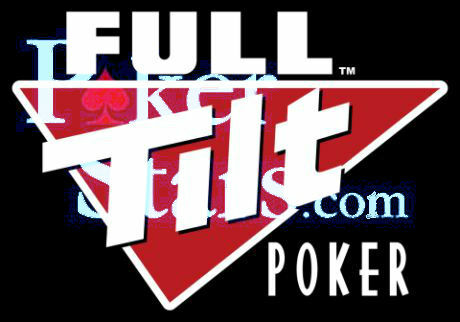 It is the coveted table where all poker fans want to be at least once in their lifetimes. Some to play and others to witness the poker greats play their best or worst. However, it always culminates in a great finale. Martin Jacobson was the winner this year at the WSOP Main Event. He won his first WSOP bracelet (yes, first) and $10 million in prize money. No one believed that this quiet poker player from Sweden who was yet to win a big poker tournament could be the winner at the Main Event at WSOP. However, Martin Jacobson proved everyone wrong and played his best game till date. Interestingly the last three remaining players at the finals table were all Europeans. Jorryt van Hoof from the Netherlands and Felix Stephensen from Norway were the last players remaining along with Jacobson. However, the final two were Jacobson and Stephensen. Felix Stephensen seemed to be playing a good game but somehow Jacobson kept on winning the hands that mattered for him. At last Stephensen couldn’t survive and Martin Jacobson became the winner of the biggest poker event in the world today. The WSOP 2014 was a huge success as it has been since its inception many decades ago. The 2014 event was in the news before it began for the prize pool. The amount, which was billed at $200 million, was the biggest so far in any WSOP event. There were 65 events where gold bracelets could be won. It was held again in Las Vegas at the Rio Hotel and Casino and drew huge crowds. The event happens every year and each year the glamour factor at WSOP seems to attract more people.